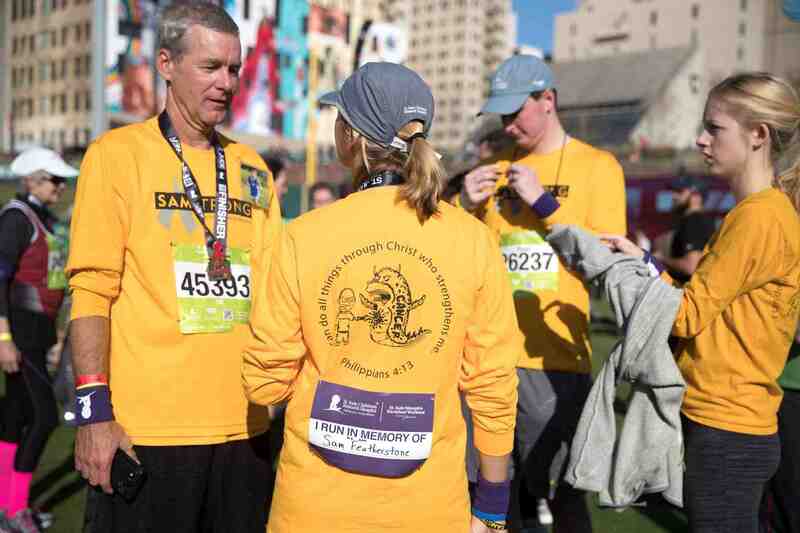 The St. Jude Memphis Marathon Weekend is St. Jude’s largest fundraising event. This year, Andy and Tammy will again be participating in the 5k race/walk. Seeing the patients, families, and St. Jude staff lining the sidewalk as we run through the campus provides tremendous motivation to continue Sam’s mission to support St. Jude’s life-saving work — Finding Cures. Saving Children. 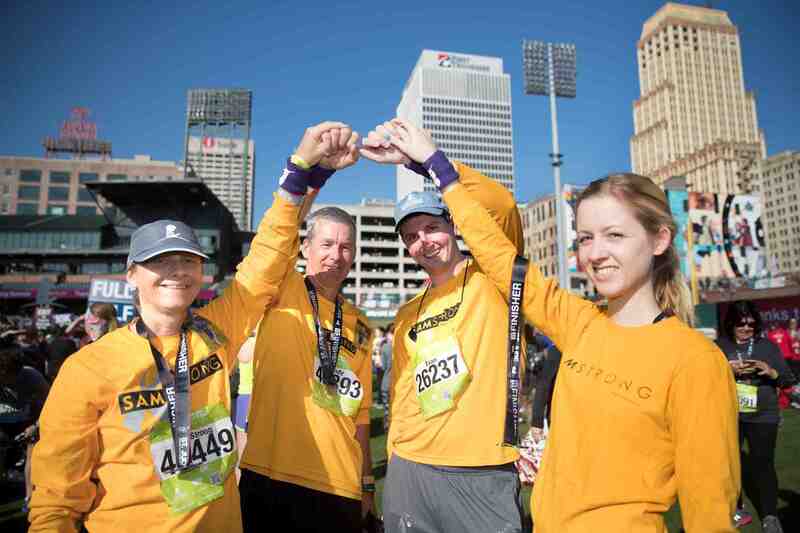 Follow this link to support the SamStrong team in the 2018 St. Jude Memphis Marathon. Announced on September 27, 2018, a new, 5-year, $15 million collaboration between St. Jude Children’s Research Hospital and the World Health Organization (WHO) aims to transform cancer care worldwide. The partnership will marry St. Jude’s technical treatment expertise with the WHO’s authority working with health care leadership and governments across diverse geographic areas. Their goal: to cure at least 60 percent of children with the six most common types of cancer by 2030. 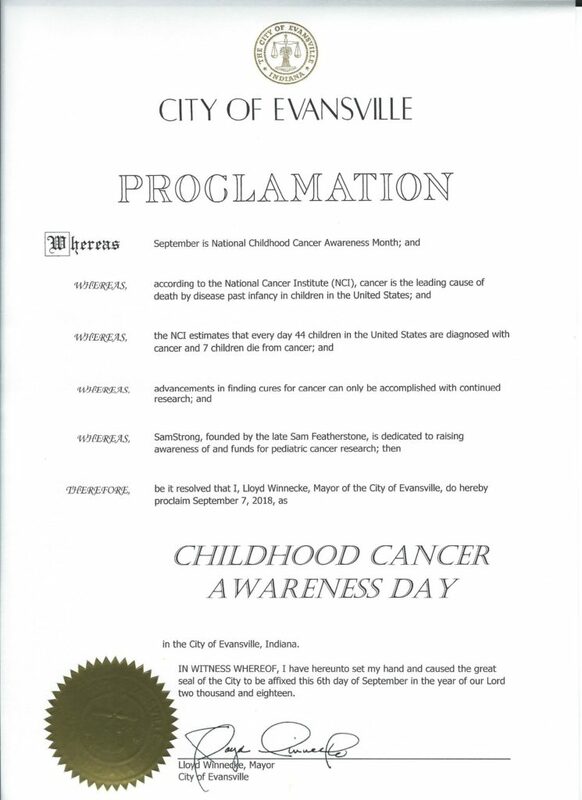 September is National Childhood Cancer Awareness Month in the US, and Mayor Lloyd Winnecke has proclaimed Friday September 7 as Childhood Cancer Awareness day in Evansville. Please join SamStrong as we GO GOLD during the month, showing your support for continued research towards finding a cure for childhood cancer. SamStrong was honored to receive a check for $1,500 from D-Patrick Honda as their Honda Helping Kids Charity of the Month for September. D-Patrick Honda is a great supporter of our community and our kids, and we’re so proud that they teamed with SamStrong and St. Jude in “Finding Cures. Saving Children”. Sam and the kids of St. Jude delivered beautiful weather for the 2017 St. Jude Memphis Marathon Weekend. Andy, Tammy, Susan, and Evan represented SamStrong in the 5k. 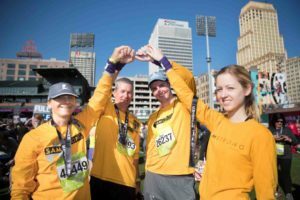 Thanks to the great weather and the commitment of so many people, over $10.3 million was raised with over 25,000 participants across the 4 races. St. Jude added a special recognition this year. 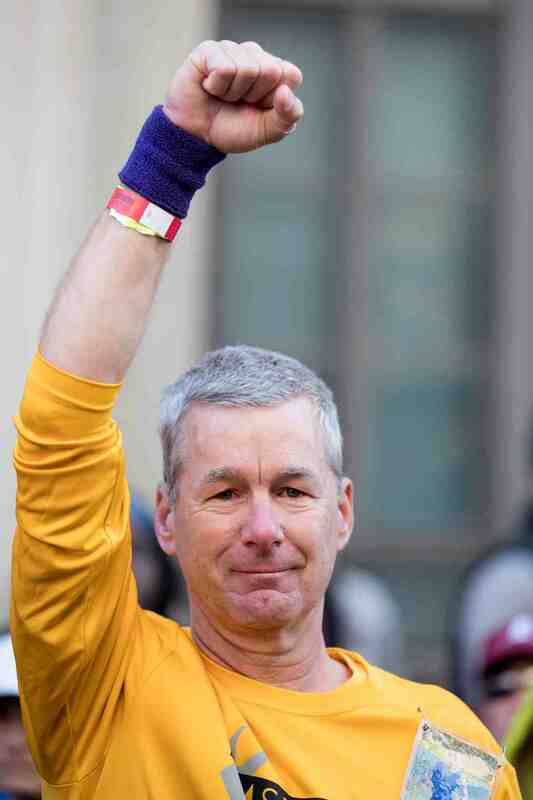 All race participants whose family lost a child to cancer wore purple wristbands. We were touched by the many shows of support we received from other participants who saw our bands.